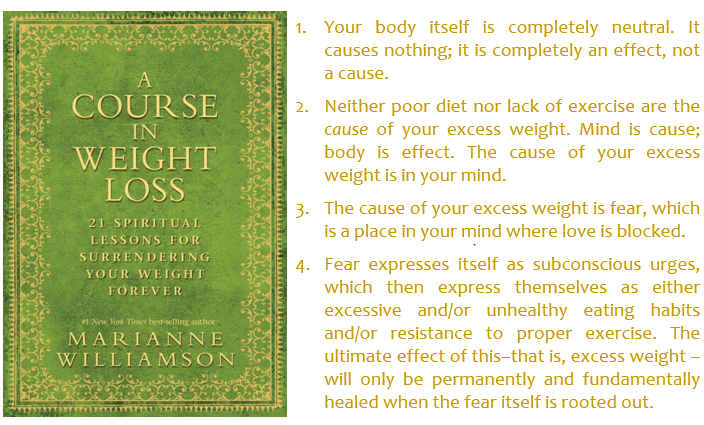 Marianne Williamson guides us through “21 spiritual lessons for surrendering your weight forever” in her book, A Course in Weight Loss. Her approach to weight loss has little to do with scientific principles (e.g., calories in vs. calories out), but with spiritual principles that she claims will set us free from food addiction. The book has a new-age approach, but God is definitely at the centre of this plan. Each lesson ends in a prayer that will resonate with believers and non-believers alike. The course is cumulative, and homework is assigned with each lesson. 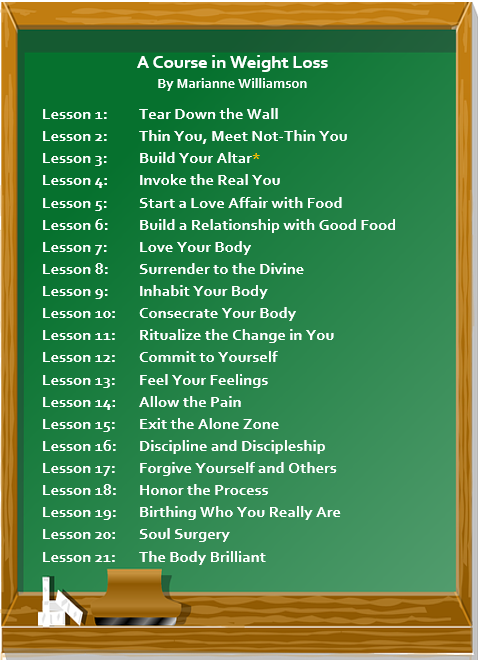 Although you can technically do the course in 21 days, I recommend taking your time to work through each lesson, meditating and digesting the wisdom and truth found in them. *As a Christian, I wasn’t crazy about the idea of building an altar – it sounded cultish to me. 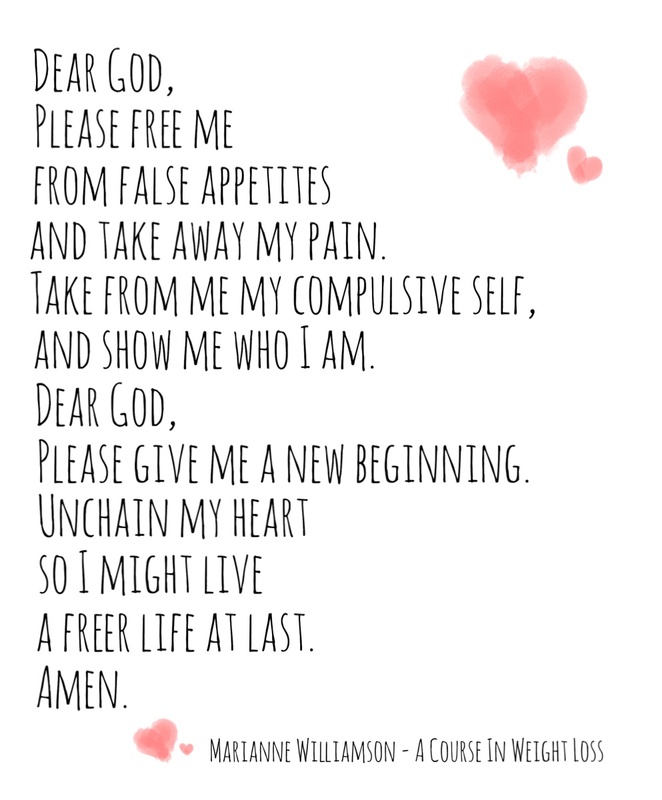 But when I learned that my fridge was an altar to my food addiction, building a special place to go and be with God when my compulsion rears it’s ugly head put my spirit at ease. It will be nice to march to this spot and spend time with God, instead of the well-worn path to the refrigerator and pantry!